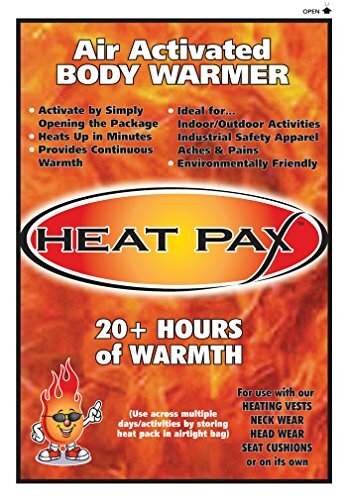 Heat Pax Air Activated Body Warmers - 20 PACK by Haynesville at Humble Opinion. MPN: sm16-5540-20pck. Hurry! Limited time offer. Offer valid only while supplies last. Simple and easy to use. Works great in our ThermaFur Vests, Neckwear, Blankets, Backwraps and Seat Cushions. Generates over 20 hours of warmth. Works great in our ThermaFur Vests, Neckwear, Blankets, Backwraps and Seat Cushions. Generates over 20 hours of warmth. Heating can be suspended at any time by resealing the inserts in an airtight container.